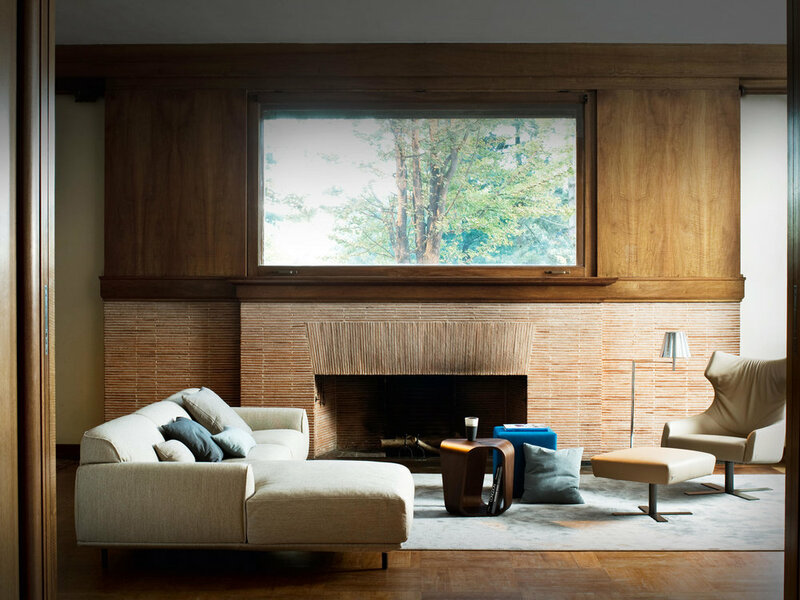 Calypso proposes itself with an aesthetic that recalls the past, but expresses modernity; a suitable sofa for both casual or elegant environments, in which prevails the fascinating image and the informal character. The bearing structure is in metal section, the spring system of the seat is made of elastic belts. The backrest has elastic belts. The filling is in C.F.C.-free non-deformable polyurethane foam in differentiated density and fiber 100% polyester. The seat cushions are in selected and sterilized goose feather with supporting heart in C.F.C.-free non-deformable polyurethane foam with a layer of viscoelastic foam. The base is covered in leather or fabric. Metal feet fixed and adjustable. Also available modular elements ready for connection. Completely removable covers, except for the leather version. Materials as per finishing data sheet.